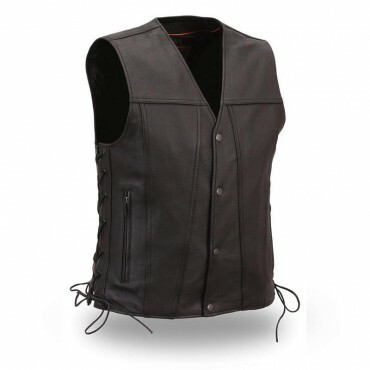 Traditional V-neck side lace vest with four snap front. 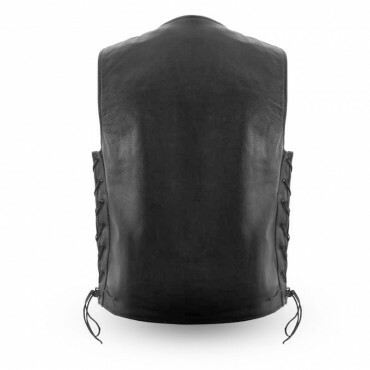 Antiqued black hardware and YKK zippers. Interior cell phone pocket and a single panel back.